In all honesty, there weren’t a whole lot of interesting new vehicles at the LA Auto Show this week. Too much of what we saw were just different sizes of crossovers to fill in automaker’s lineups. I say, if all Americans apparently want to buy is SUVs, at least make them interesting, and not just a slightly shorter or longer version of something we’ve seen a dozen times before. 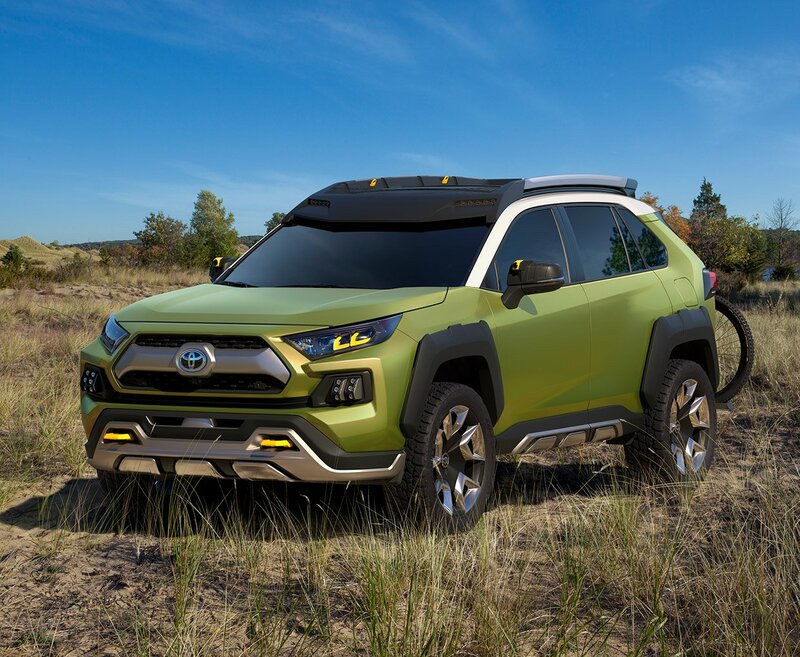 Fortunately, the guys at Toyota turned up at the show with something a little less ordinary, in the form of The Future Toyota Adventure Concept, aka the FT-AC. 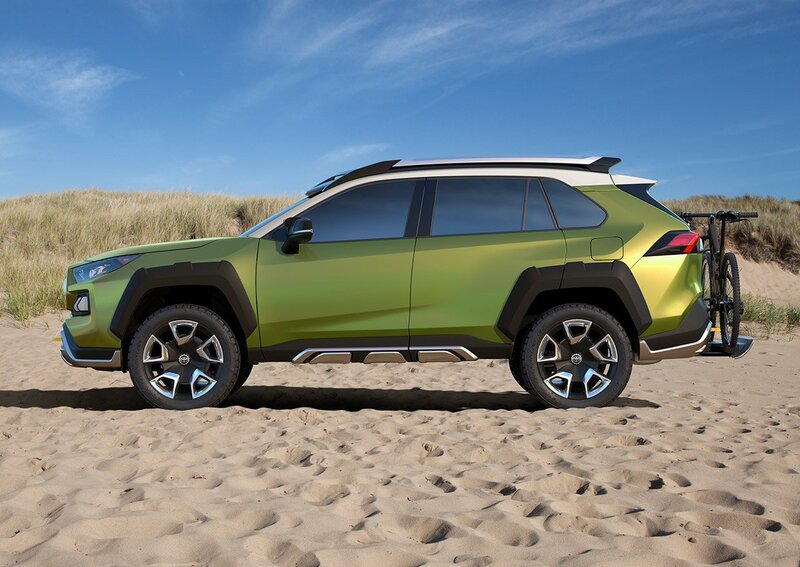 The FT-AC envisions a rugged new take on the compact SUV, offering up aggressive, angular styling, and everything you need to head out for adventures on- or off-road. What I love about the design is that it borrows more from Toyota’s trucks than its cars. 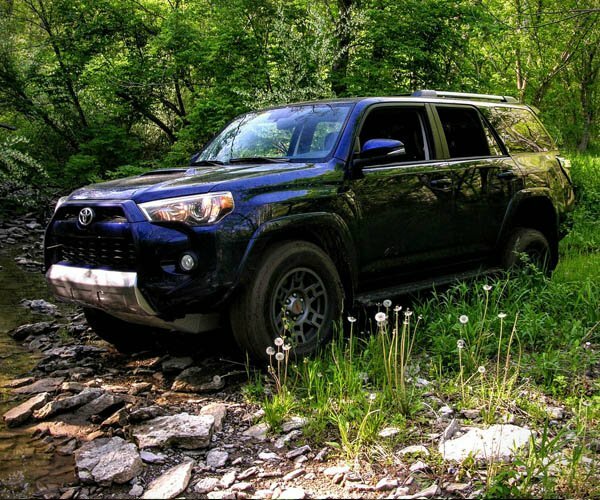 You can see distinctive elements of the Tacoma coming through in its grille, for instance, and there’s not a swoopy Camry or Prius curve to be found. 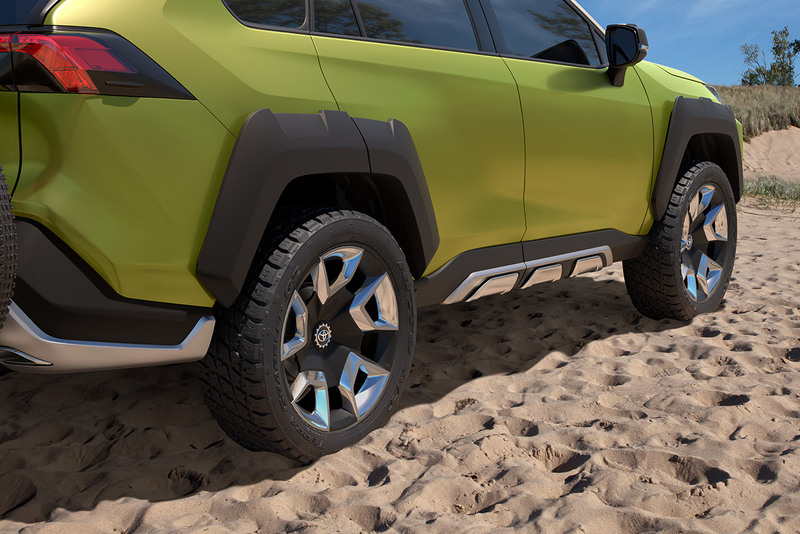 Fat fender flares float above chunky all-terrain tires, wrapped around big 20″ wheels – which aren’t exactly ideal off-road but every concept car needs giant wheels. 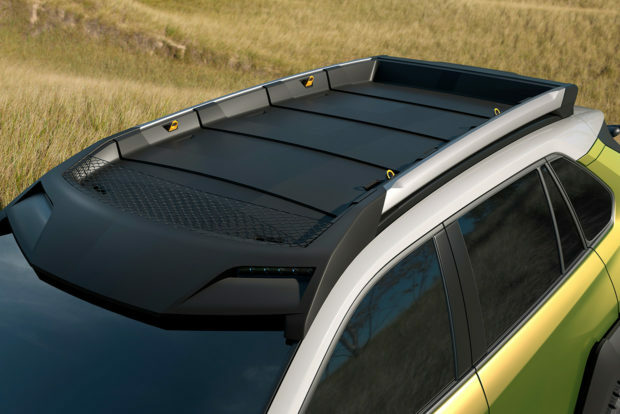 Naturally, it’s got higher ground clearance than other compact SUVs, and an all-wheel drivetrain with a variety of terrain modes. It’s also got torque vectoring, which means it should be nimble in the corners or when traction is uneven. Toyota also says the FT-AC might have a next-generation hybrid drivetrain, designed not only to improve fuel efficiency, but to provide added torque when needed. Toyota envisions the FT-AC as sort of a mountain bike in SUV form. It’s just as comfortable riding on paved or dirt roads, and equipped with gear designed to enhance your experience when you leave the tarmac. For example, its mirrors are equipped with infrared cameras which record trail runs, and there’s a versatile, safari-style roof rack and a fold-out bike rack on back. 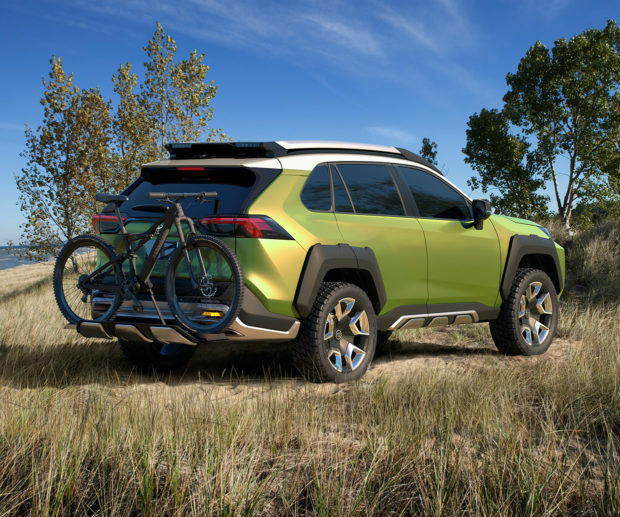 Plus those cameras and its fog lamps are removable so you can take them with you if you decide to head off onto trails with your actual mountain bike. At this point, the FT-AC is merely a “design experiment,” but I’m really hopeful that Toyota moves forward with building it. It would be a nice off-road counterpoint to the decidedly more urban C-HR.